Enter the Cornwall Business Awards by 14th March 2010. ‘Don’t miss the chance to put your company in the spotlight’ is the message from the Cornwall Development Company, with the deadline for entering this year’s Cornwall Business Awards just days away. 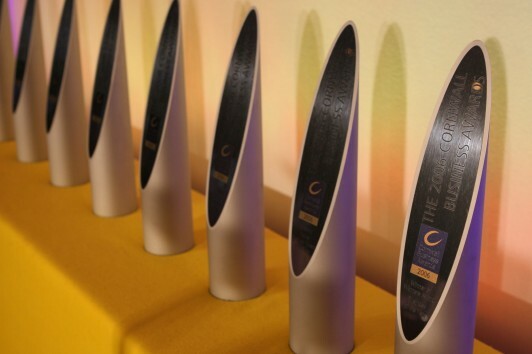 Companies in Cornwall and the Isles of Scilly have until March 14 to submit their entries for one or more of the 14 award categories on offer. Traditionally, the final days before the deadline see a sudden flurry of last-minute entries, and organisers are concerned that some businesses could miss out, at a time when the rewards of winning could be more influential than ever. “In the current climate, businesses need to take every opportunity to raise their profile,” said Nick Blandford of the Cornwall Development Company. “A win in any category of these awards is a vital boost for the company concerned and brings a tremendous amount of positive exposure. In fact, just being shortlisted among the county’s best businesses is a ringing endorsement in itself. Amanda Barlow of Spiezia Organics and Budock Vean Hotel, winner in last year’s Customer Focus category, says: “We’re very glad that we made the effort to enter, to say the least! The time it took to fill in the form can only be seen as very well invested. I would encourage every business to do the same. This year’s Cornwall Business Awards presentation dinner, organised by the Cornwall Development Company, takes place at St Mellion International Resort on 20th May. 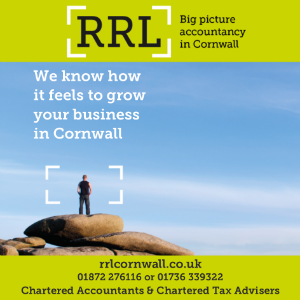 Considered to be Cornwall’s most prestigious business awards event, it will be attended by no fewer than 300 business leaders and will feature a keynote address by football director and “The Apprentice” star Karren Brady.